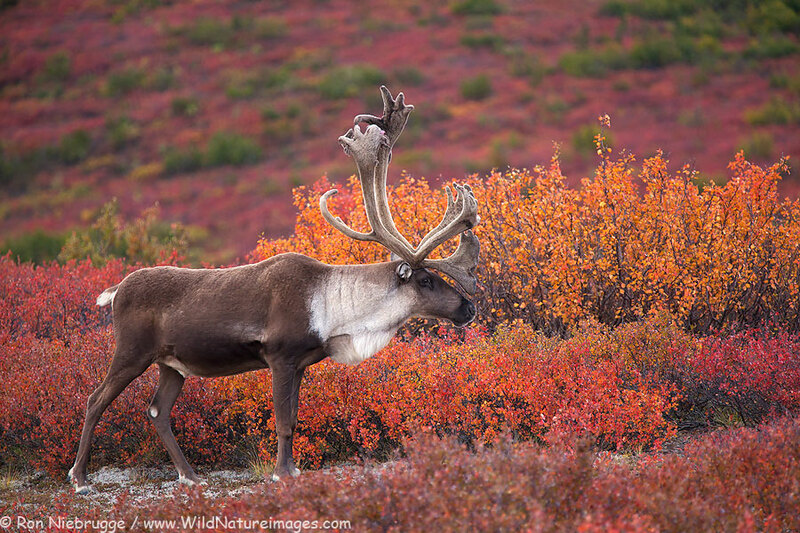 Bull caribou, Denali National Park, Alaska. A couple of friends and fellow wildlife image makers (in fact, amazing wildlife image makers!) have started a new wildlife photography podcast and came down to Seward last Friday and recorded a fun conversation covering lots of ground! I met both of them many years ago in Denali, and Mark and I shared a wonderful day with some beautiful bull caribou – something we relive on the podcast. Check it out if you have the chance. Wild and Exposed podcast. Denali, Denali National Park, Alaska. 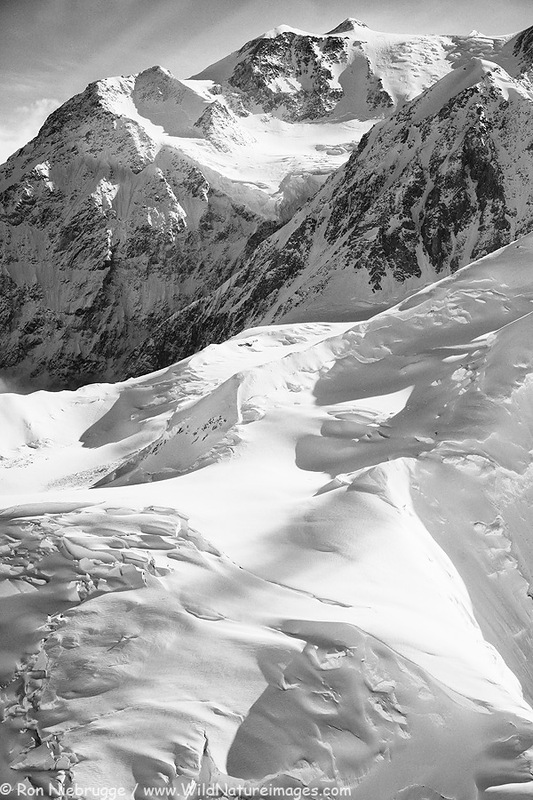 Flying over Denali last month. Alaska Range, Denali National Park, Alaska. 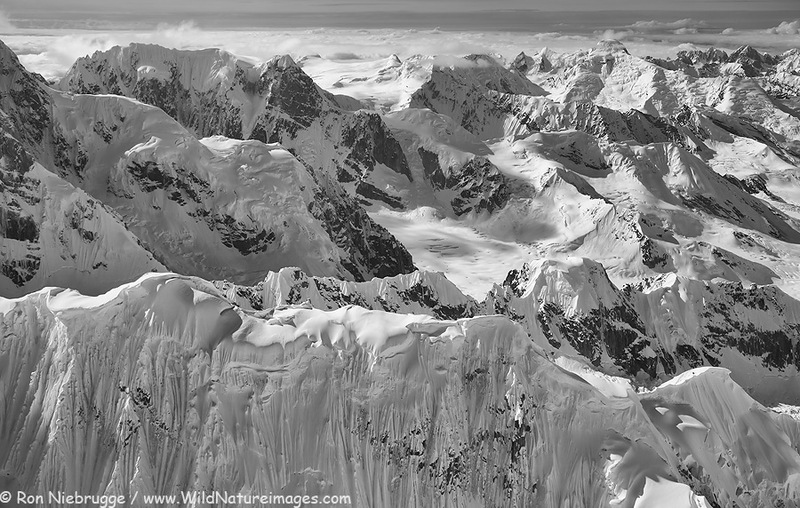 This is the Alaska Range with the flanks of Mt Denali in the foreground captured from a small plane this past June at about 12,000 feet! An awe inspiring landscape. The mountain formerly known as Mt McKinley. From an awesome flight with the folks at Kantishna Air. 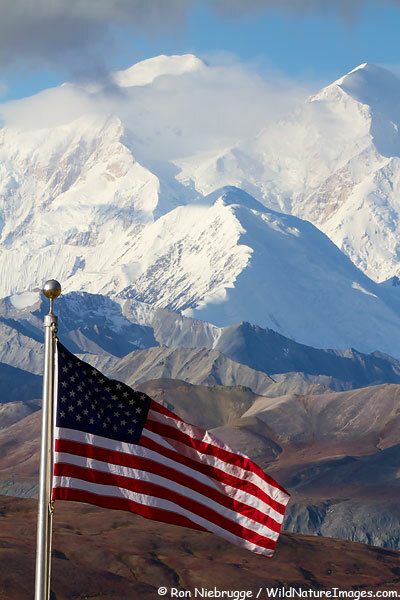 American flag in front of Denali, Eielson Visitor Center, Denali National Park, Alaska. Turns out I have a bit of internet – here is a image from Denali National Park – got here just before last light last night. Heading North – Way North! 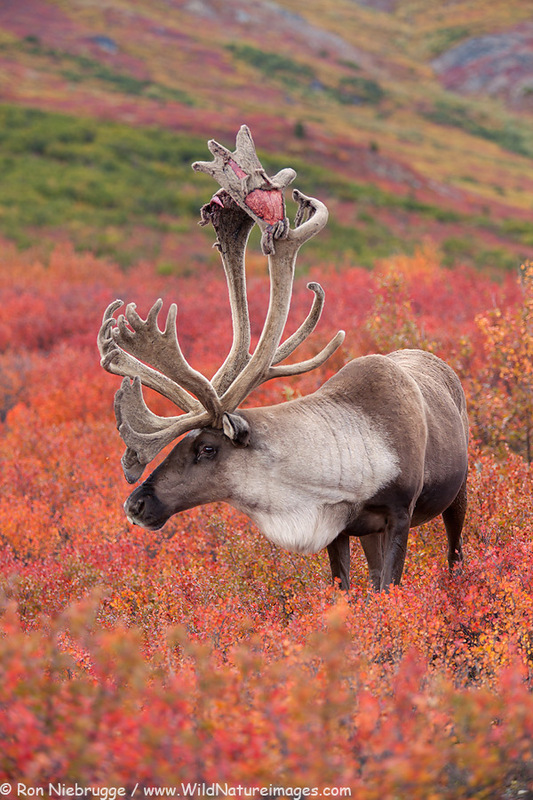 Caribou, Denali National Park, Alaska. Heading off for a week and a half, and likely won’t have much in the way of internet access. Spending the night in Denali tonight, then off to Fairbanks where I join a friend to help him co-lead his photo tour into the Brooks Range for amazing landscapes and northern lights, then on to the coast for polar bears! Should be a blast! Here are the details: Northern Lights and Polar Bear photo tour. 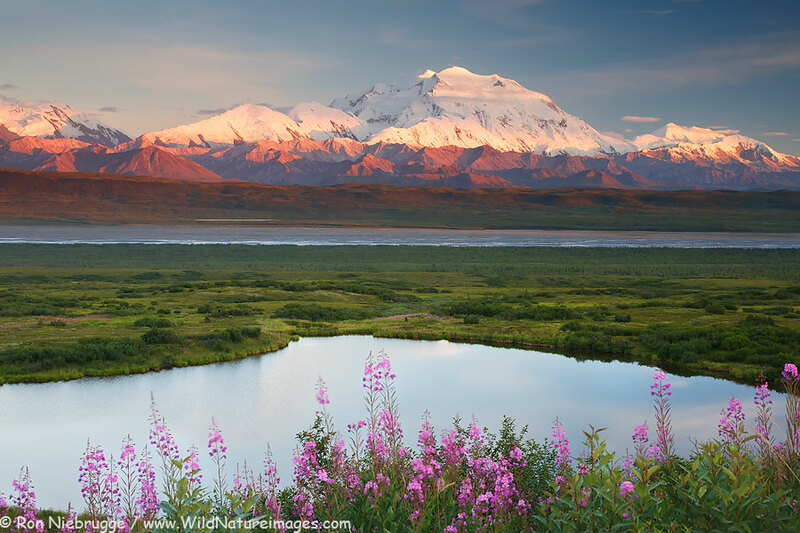 Mt McKinley – in Alaska known as Denali, Denali National Park, Alaska. 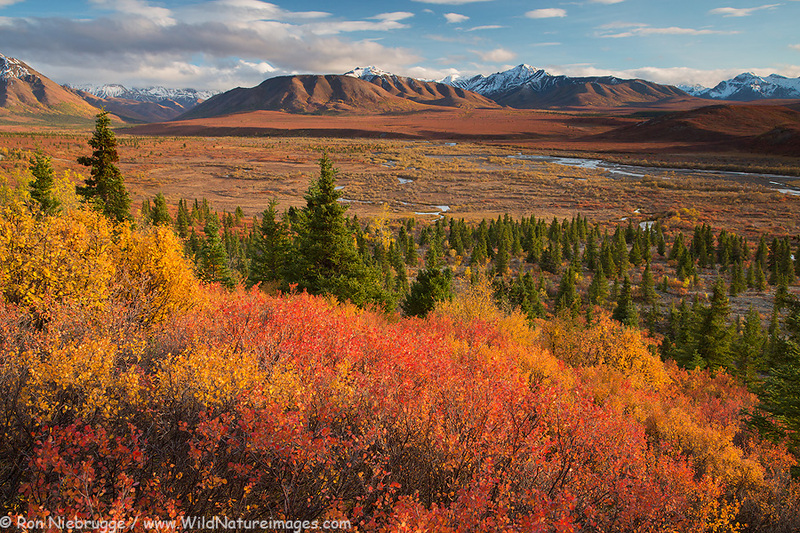 Hot off the press – another new one from an amazing trip into Denali National Park last summer. 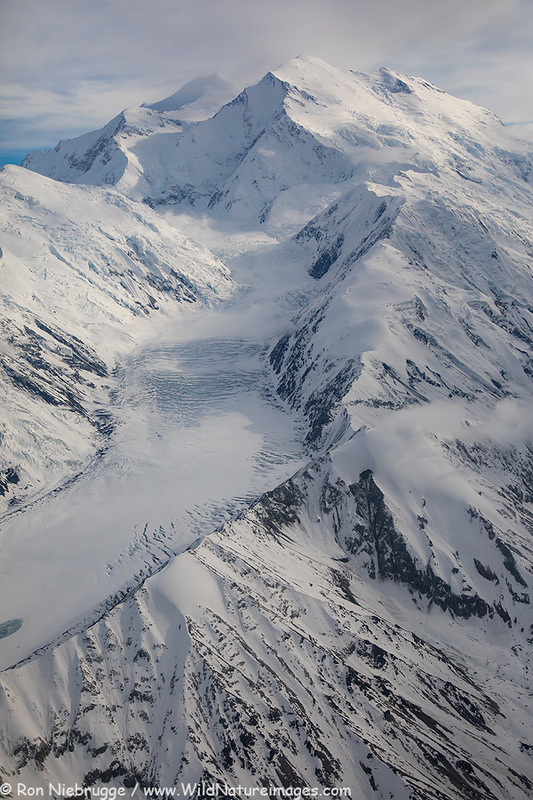 Here are more photos of Denali National Park.